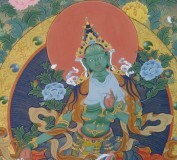 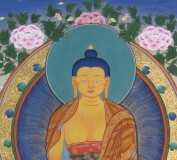 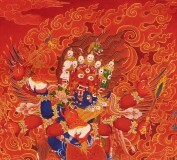 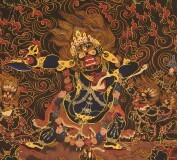 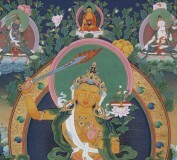 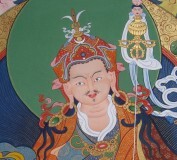 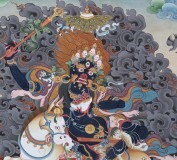 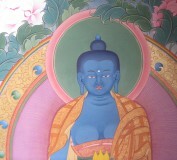 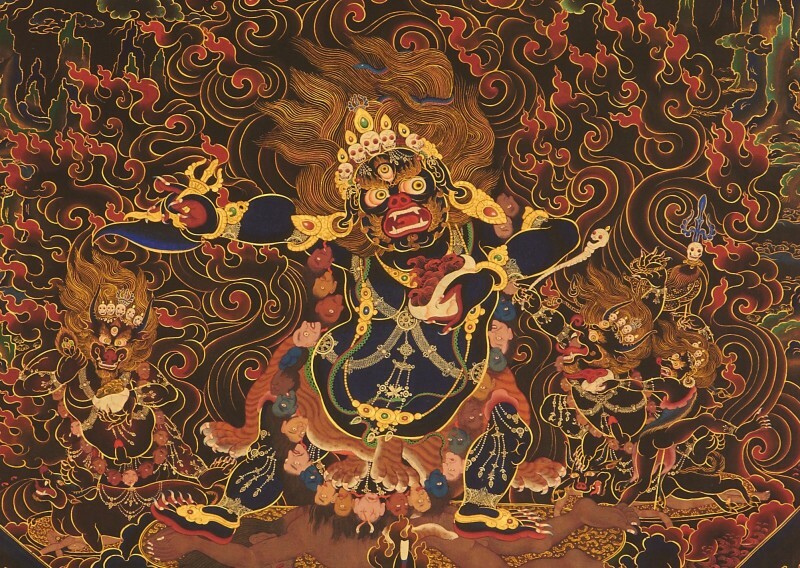 Thangka are traditional Tibetan Buddhist art. 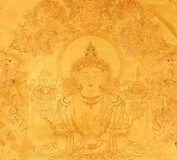 They are scroll-like paintings of Buddhas, deities, and mandalas mounted in brocade frames. 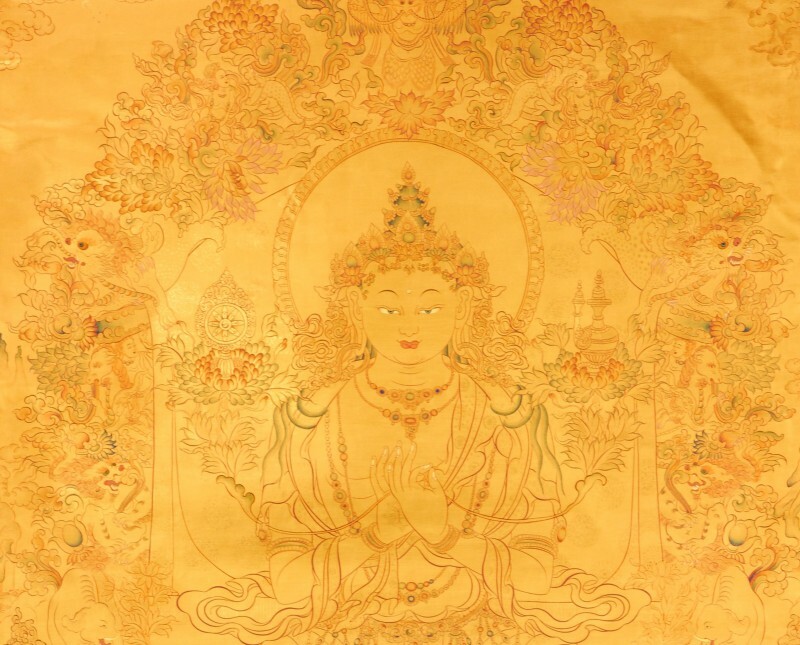 For followers of Buddhism, these pieces would be placed in shrine-like areas, and used to help illustrate and deepen meditation practices, or Buddhist teachings. 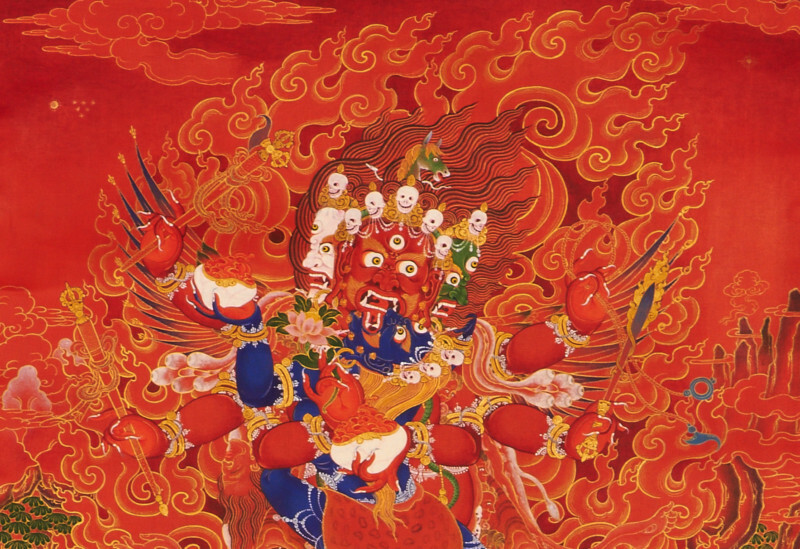 The word thangka comes from the Tibetan thang yig, which mean “annal” or “written record.” The ending yig, which means, “letter” and carries the sense of “written,” is replaced by the ordinary substantive ending ka. 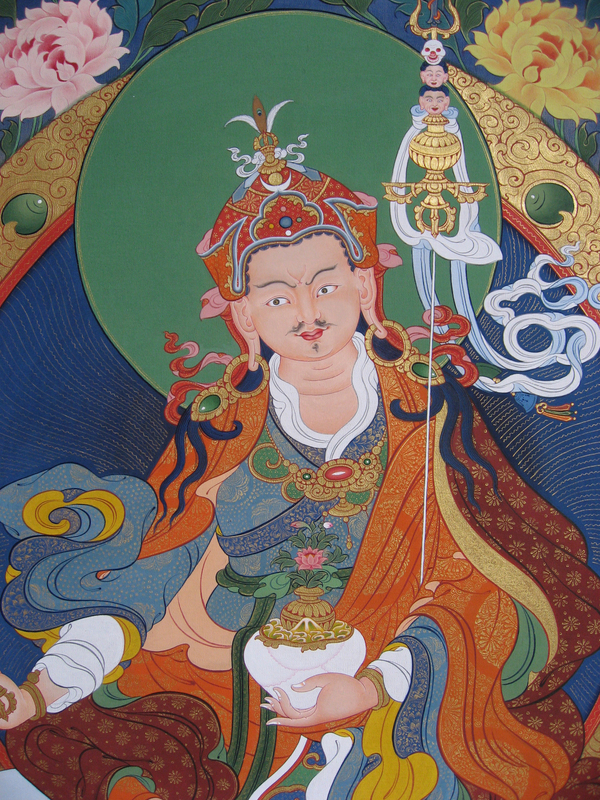 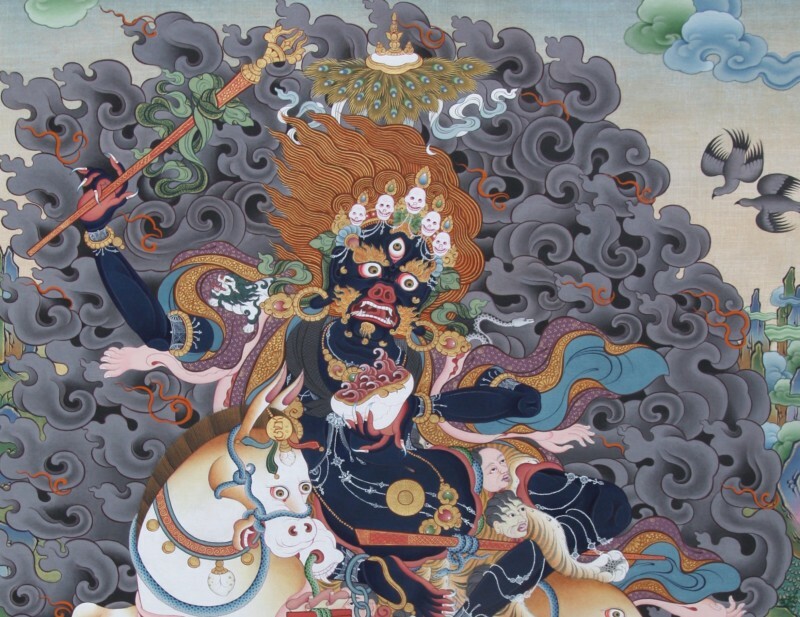 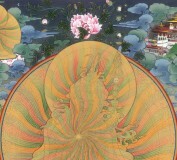 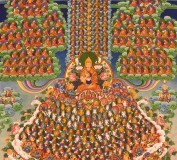 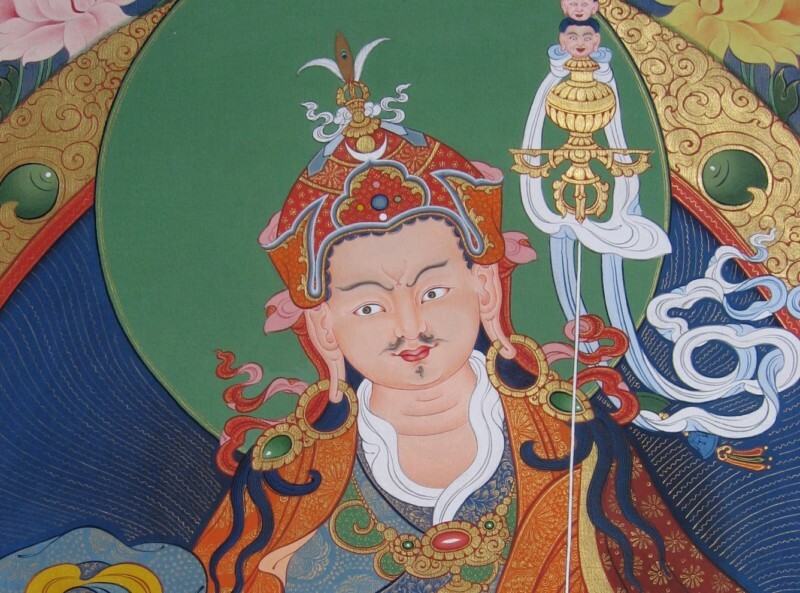 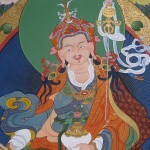 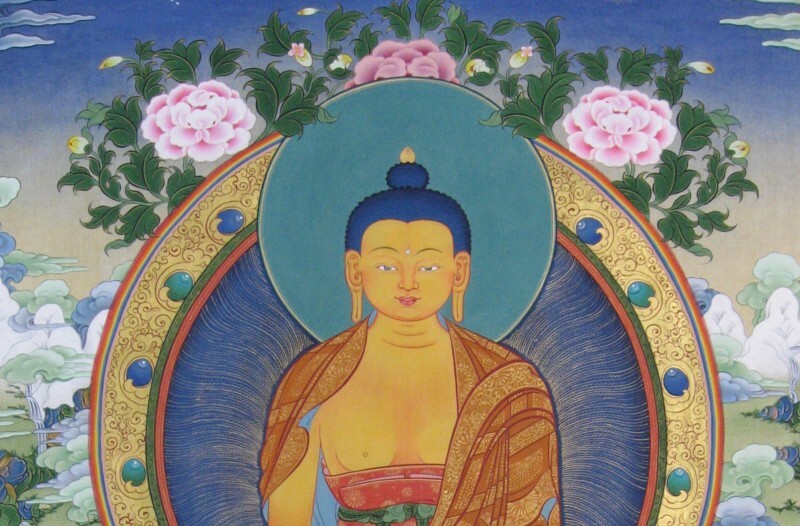 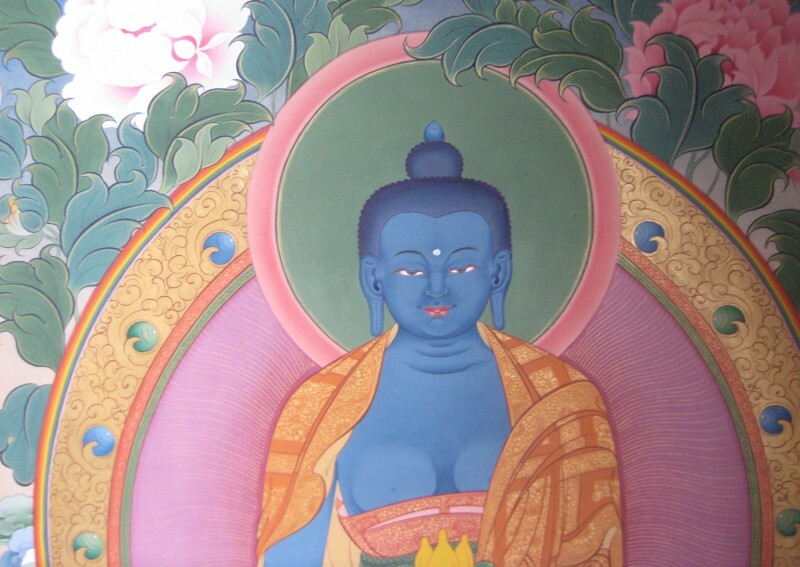 Thus the word thangka has the sense of a record. 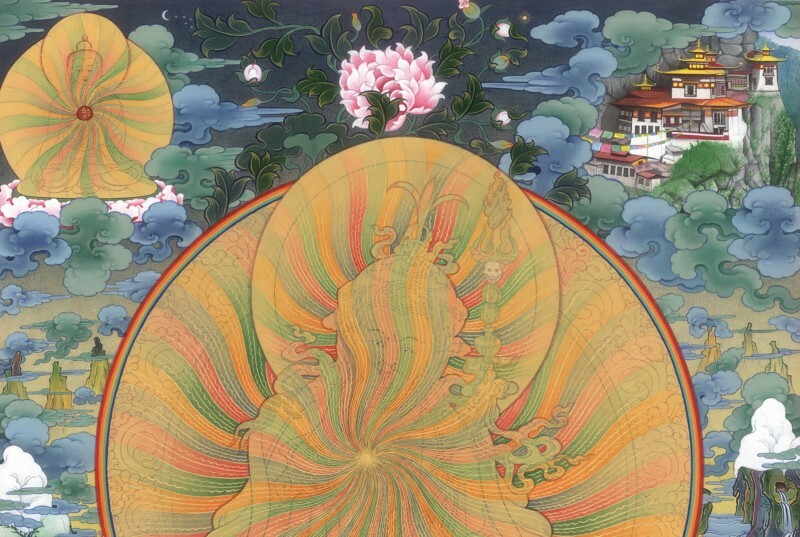 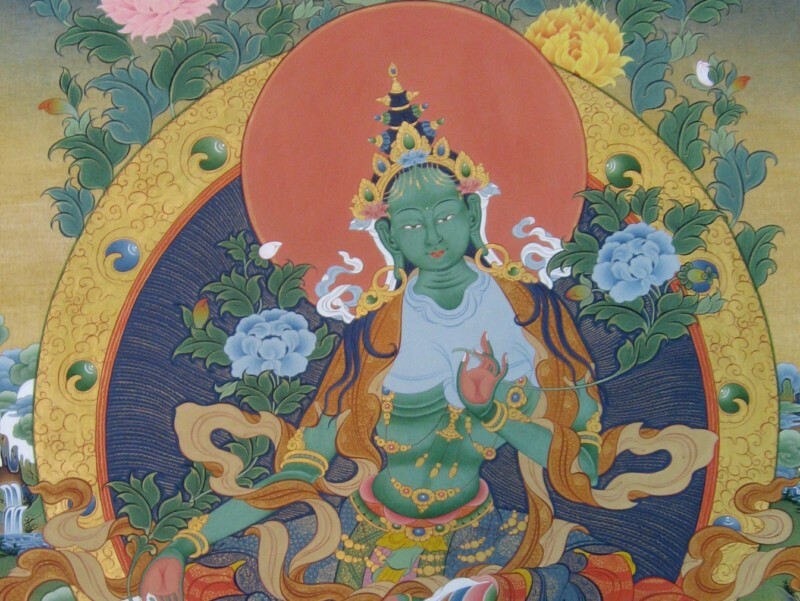 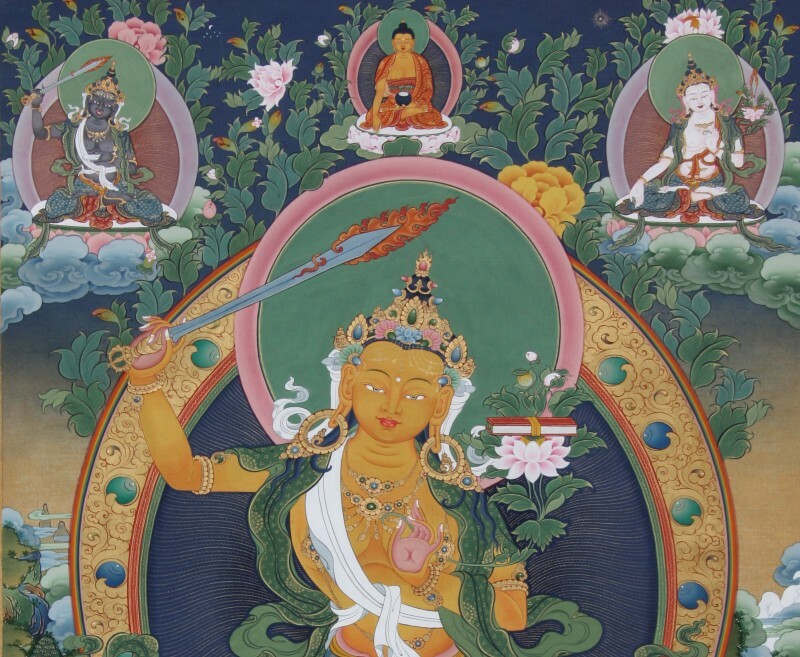 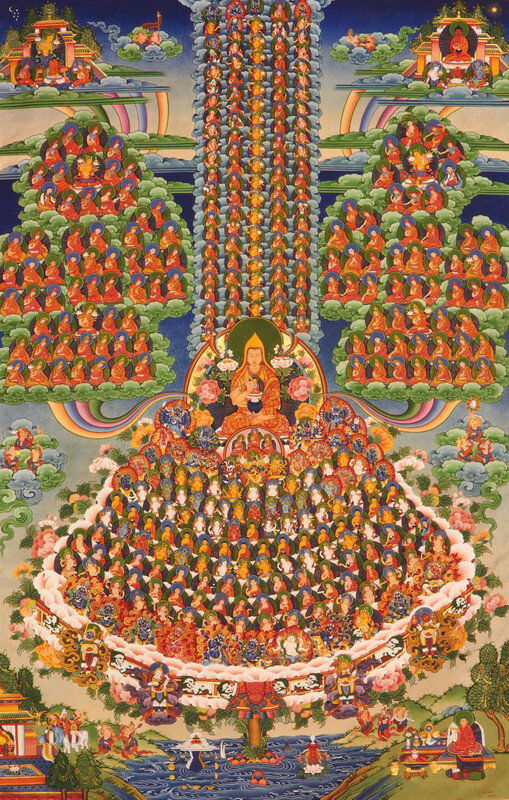 To learn more about the origin of this sacred art and its different schools, we recommend this excellent overview by Chogyam Trungpa Rinpoche.